SEATTLE - Dec. 29, 2016 - PRLog -- AlyBlue Media announced the release today of Grief Diaries: Will We Survive, the 21st title in the award-winning anthology book series. 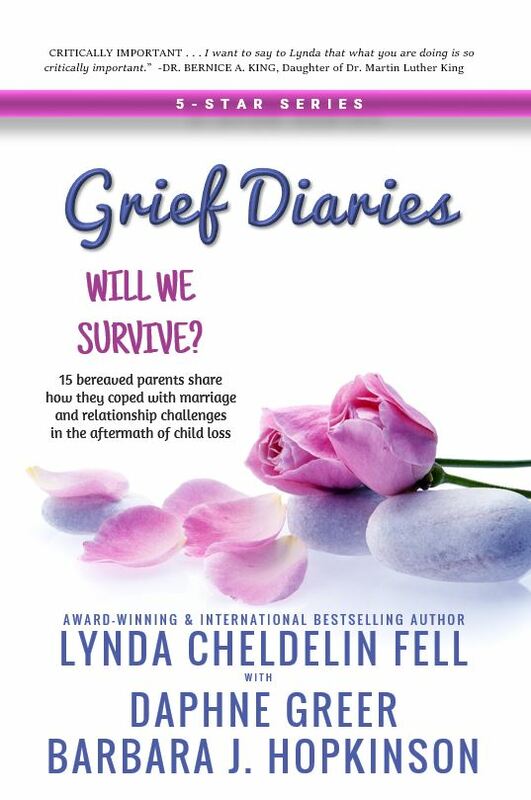 Series creator Lynda Cheldelin Fell partnered with authors Daphne Greer and Barbara J. Hopkinson in the anthology compilation featuring the stories of 15 bereaved parents who share intimate insight into challenges they faced in their relationships after losing a child. "Telling bereaved parents that marriages and relationships don't survive the loss of a child plants the seed of doubt where seeds of hope should be. Many couples do find their footing after child loss," says Cheldelin Fell. She and her husband lost their 15-year-old daughter Aly in a car accident in 2009. "While it does create unique relationship challenges, with the right tools and support those challenges can be overcome." The book's goal is to open the dialogue for bereaved mothers and fathers, and offer examples of how other bereaved parents handled common relationship challenges in the aftermath. Cheldelin Fell created the Grief Diaries series to raise awareness about relevant issues, and help those who share the same path feel less alone. In the past 12 months, the series has grown to over 500 writers from 11 countries and earned 4 literary awards. Each book in the series offers personal accounts about life experiences, earning acclaim from some of the world's most notable influencers including Dr. Bernice A King, daughter of Dr. Martin Luther King, Jr. and Candace Lightner, founder of Mothers Against Drunk Driving. Cheldelin Fell donates a portion of retail profits from every book to nonprofit organizations. For more about Lynda Cheldelin Fell, visit www.LyndaFell.com. For more about Grief Diaries, visit www.GriefDiaries.com.